We can offer you the right solution. 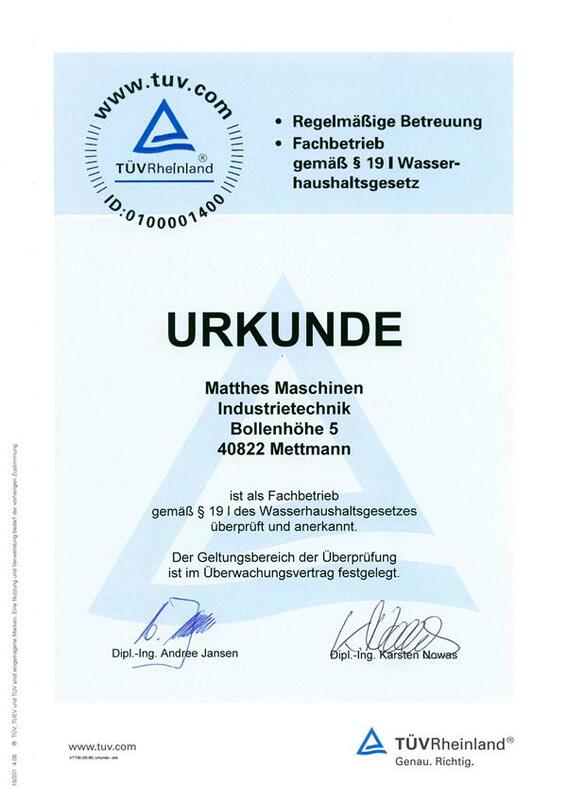 MATTHES has established a name for itself in the market as an innovation-driven supplier of systems and equipment for cleaning processes for metallic and non-metallic parts. The main products in our range are solutions for industrial cleaning systems, including spray cleaning systems, immersion and ultrasonic cleaning systems, blasting plants, blast cabinets, custom-built systems, used equipment, system components and process materials. Our range of products and services is geared to the specific needs of different industries. These include high-end cleaning solutions for the electronics industry and special cleaning solutions for medical technology as well as modern processes for cleaning components in the automotive sector. MATTHES is also an expert in full-package cleaning solutions in maintenance and a long-standing partner to the aviation industry for the cleaning of aircraft rims, wheel bearings, bolts, nuts and brake parts. For railway transportation and rail traffic we offer systems for the professional cleaning of bogies, wheel sets and wheel bearings. Cleaning and degreasing systems for hardening shops / contract manufacturers or metal before hardening and cleaning solutions in the area of container cleaning (SLC) complete our extensive range of products for industrial cleaning plants. Starting from this basis, we have already successfully completed 4000 projects across the full spectrum of industry. As a result, we have a broad range of high-profile customers. In every project MATTHES has completed, its name has been synonymous with the professional execution of all services. This is not only in reference to delivering cleaning systems correctly and on time, but it is also indicative of an integrated solution provider with a high level of expertise who is available to provide advice on request on all issues relating to the cleaning process. Contact us and benefit from our independent expertise in the field of process development and process optimisation. You can also find out about our services in relation to the commissioning, repair and maintenance of your systems. Our highly qualified team is looking forward to hearing from you. Welcome to MATTHES! 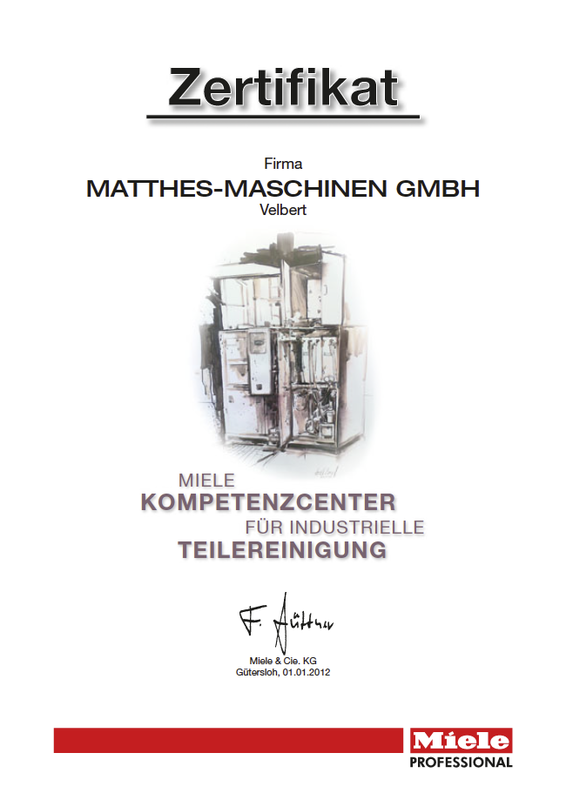 Since more than 50 years MATTHES has been a pioneer in cleaning solutions on a aqueous base. Our methods are today firmly established due to environmental reasons. We are the experts in this field and would be glad to consult you. Those who are experts in their field can reliable share their knowledge. Our staff has best knowledge of the actual policies for highest quality and security standards. For all questions we will give you our best advice and support. With over 50 years of experience and consistent commitment to our customers, we rise to the challenges which every new project brings. We may have already successfully completed more than 4000 projects but we still look forward to every new challenge. Our owner-operated family enterprise is continually growing. Take part and grow with us! Whether as a service technician, sales employee or assistance in the administrative area. We are looking forward to your application!